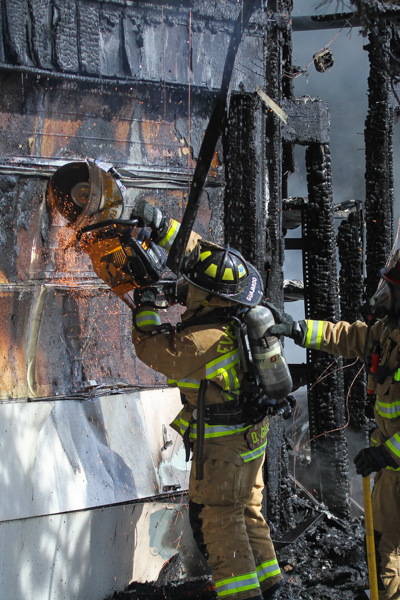 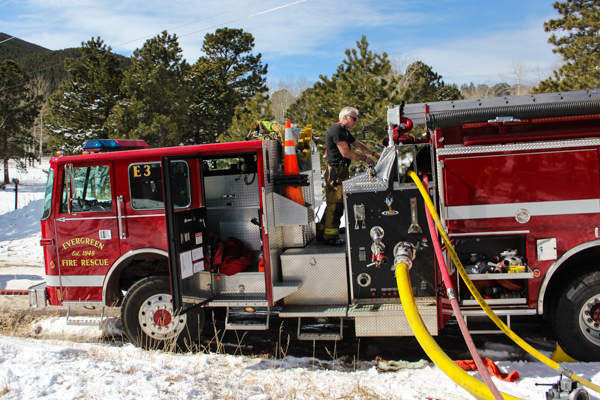 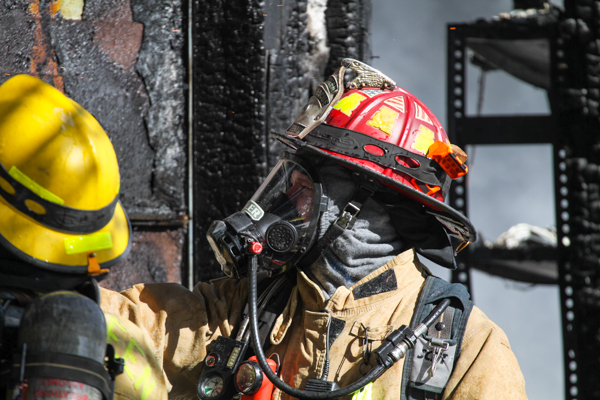 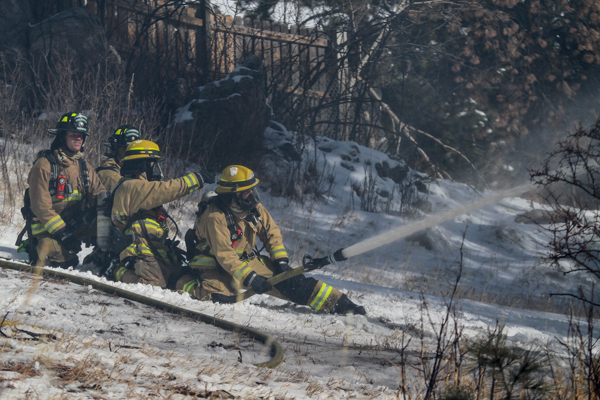 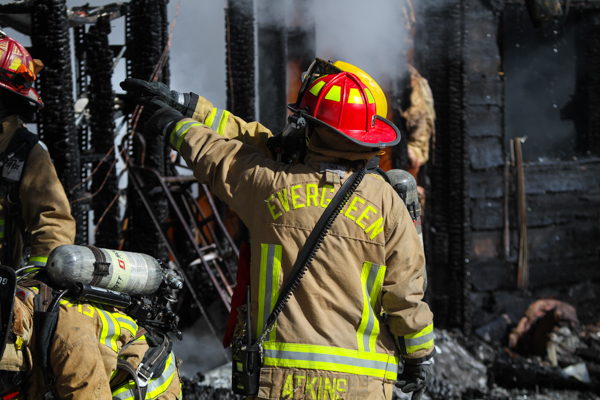 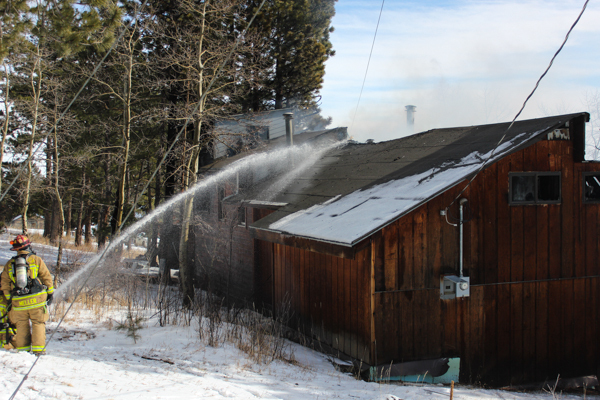 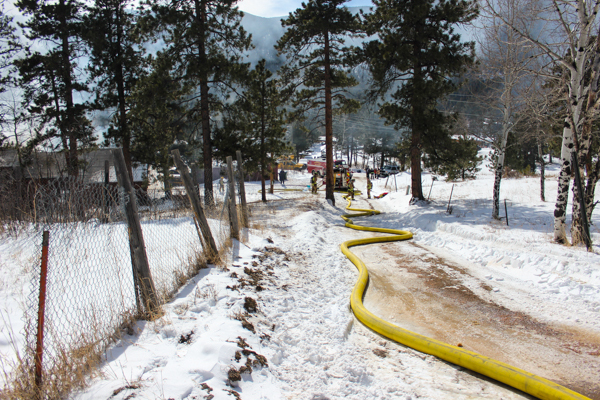 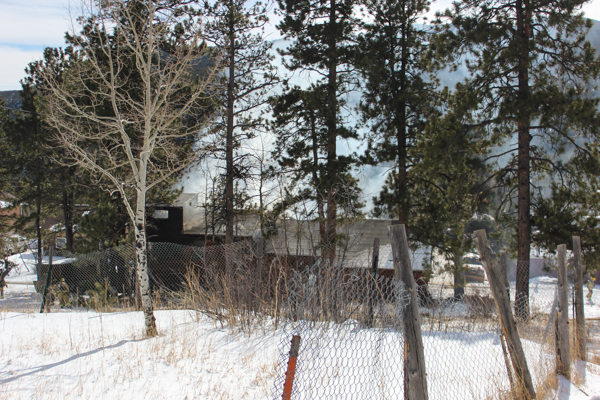 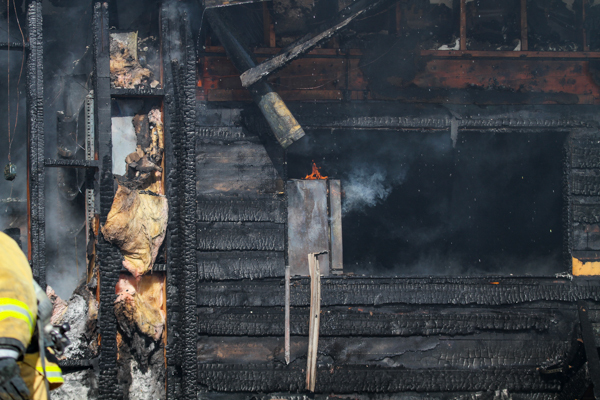 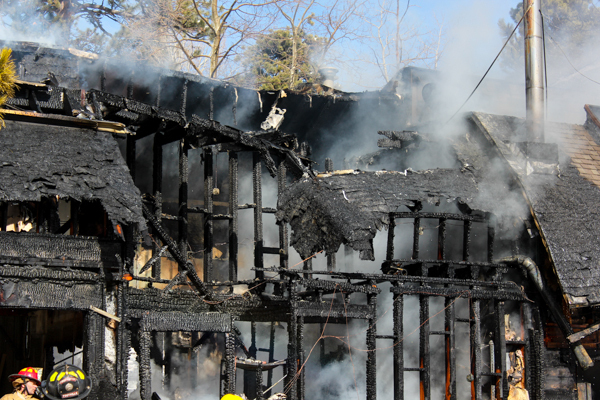 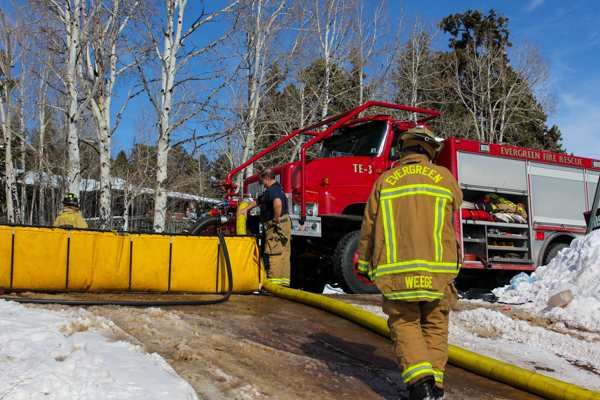 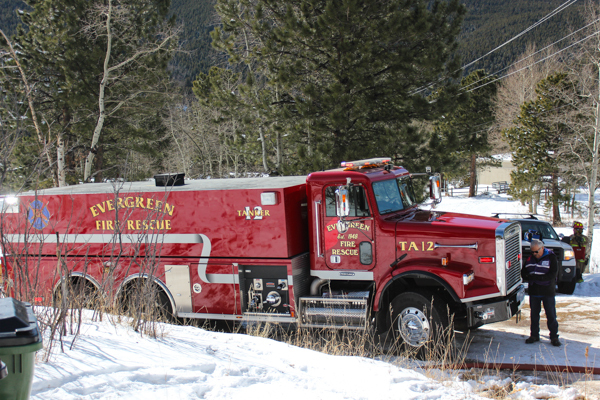 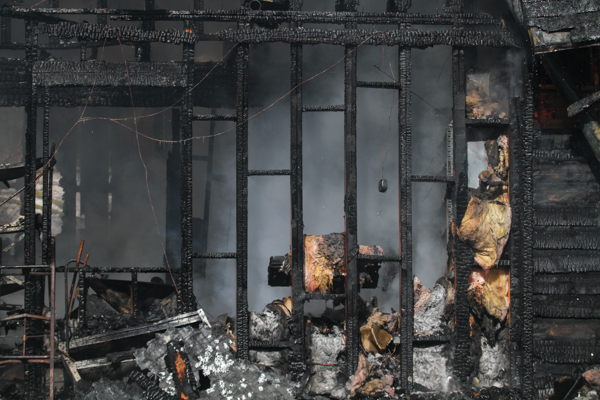 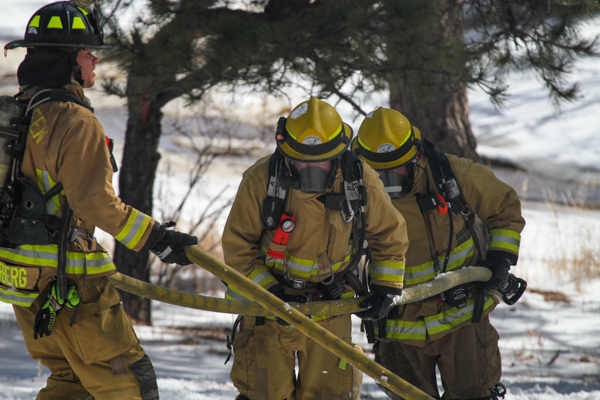 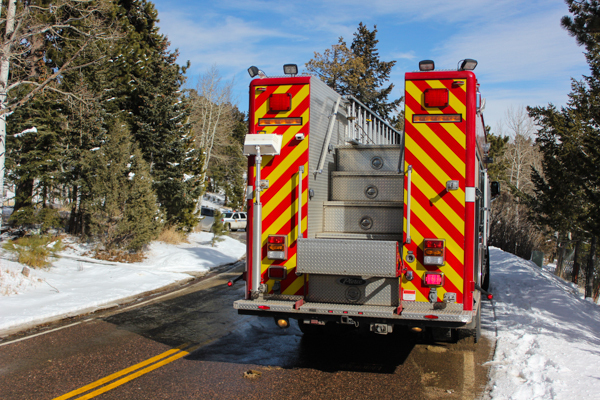 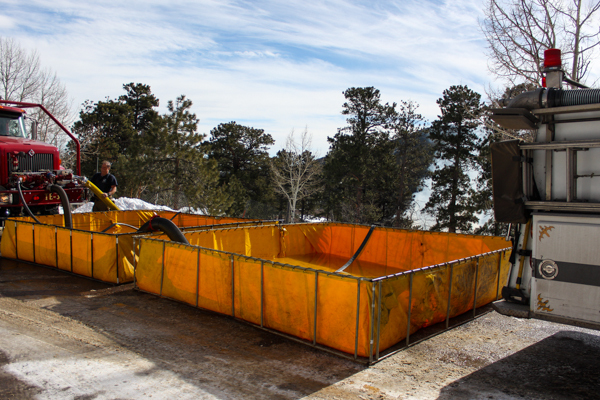 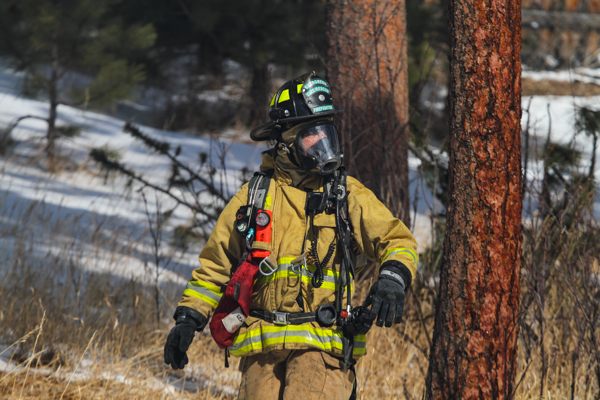 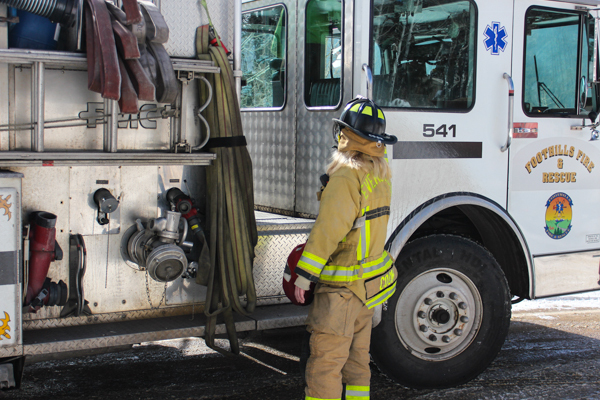 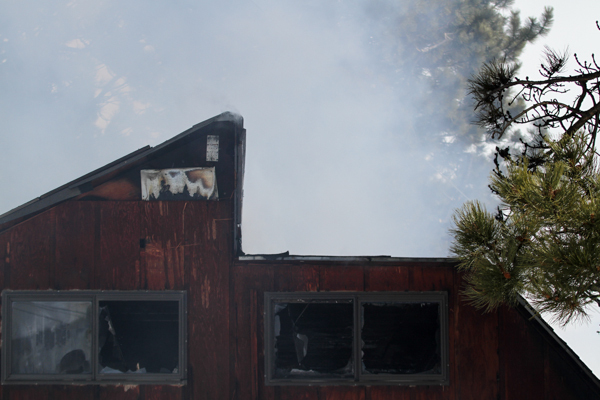 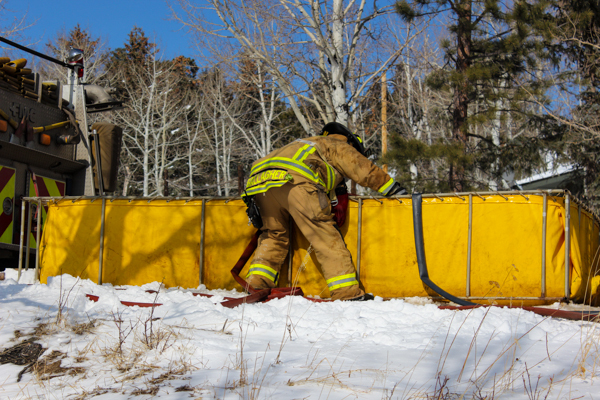 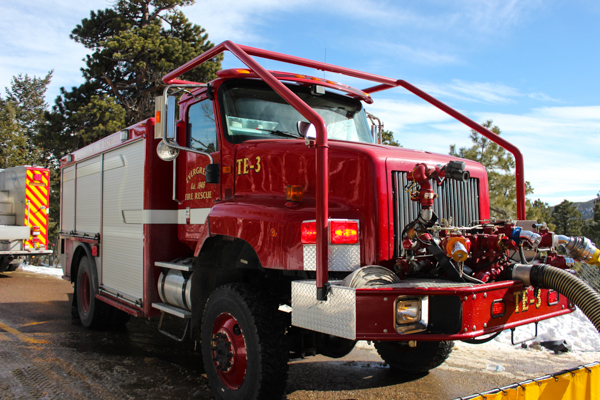 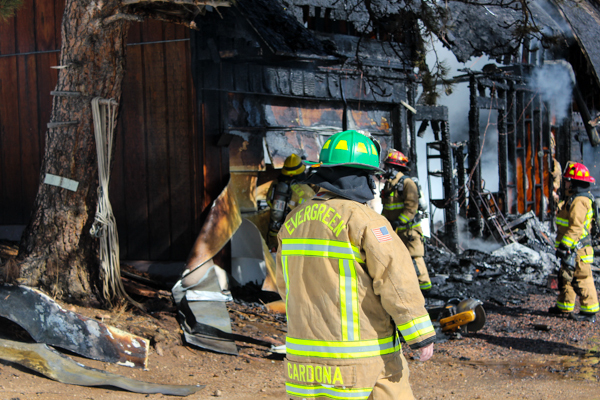 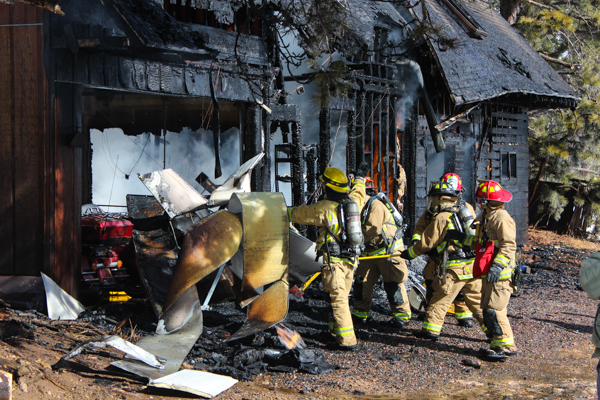 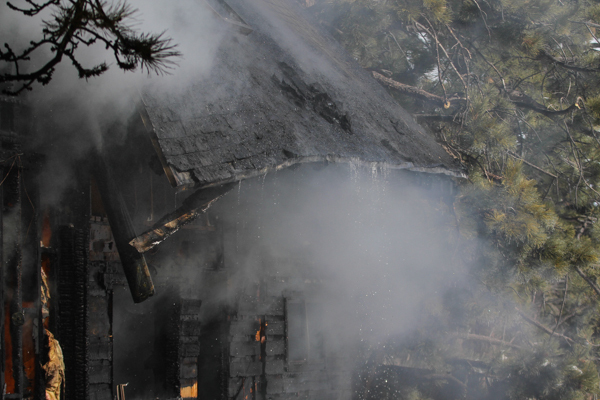 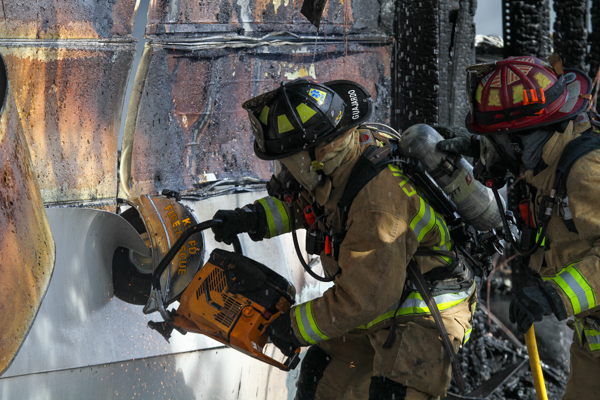 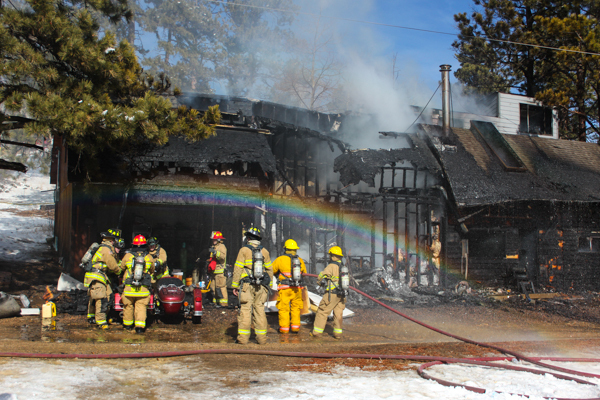 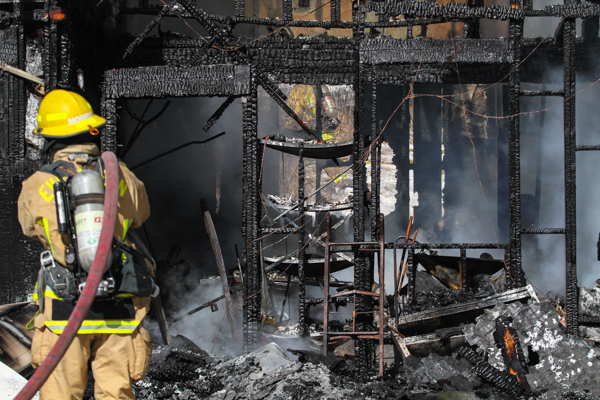 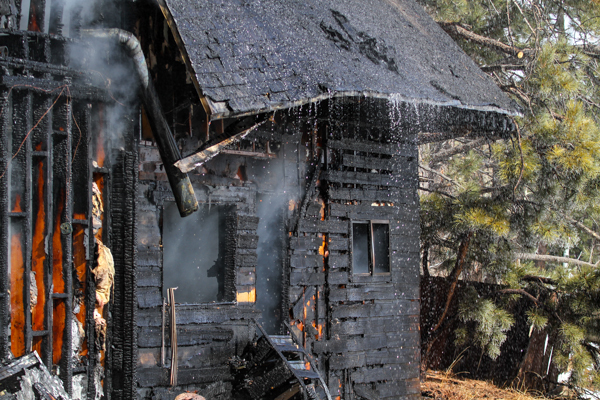 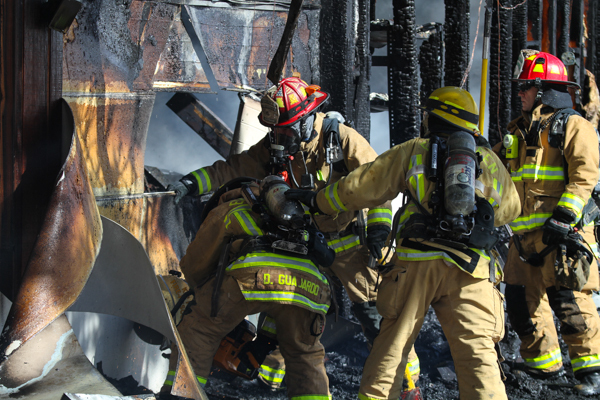 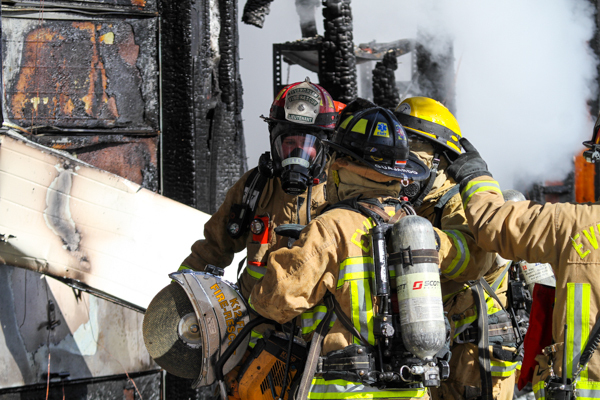 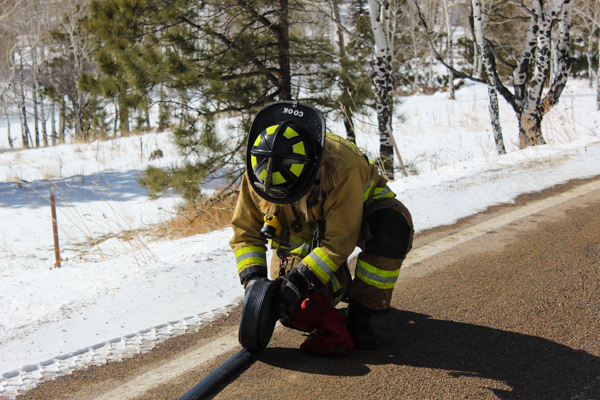 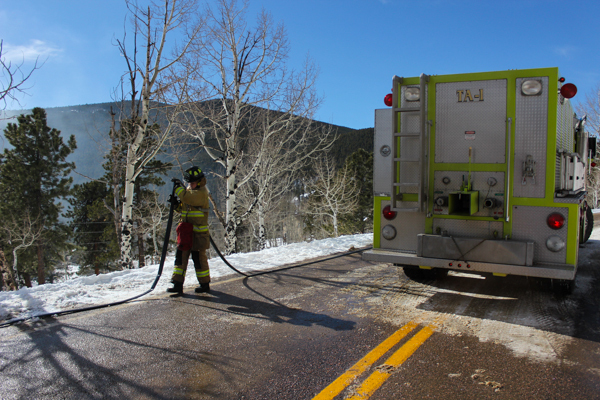 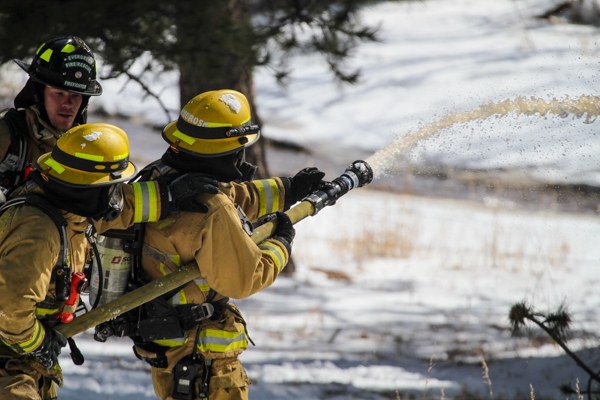 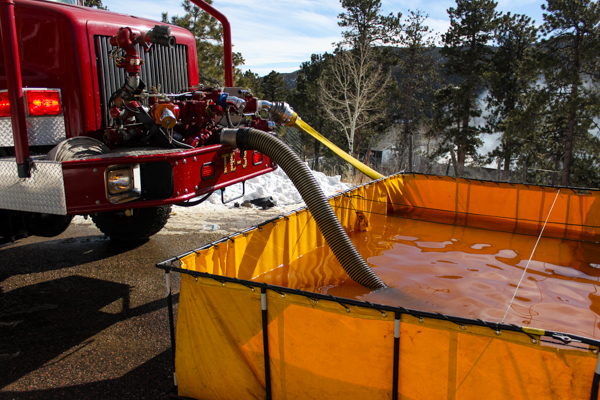 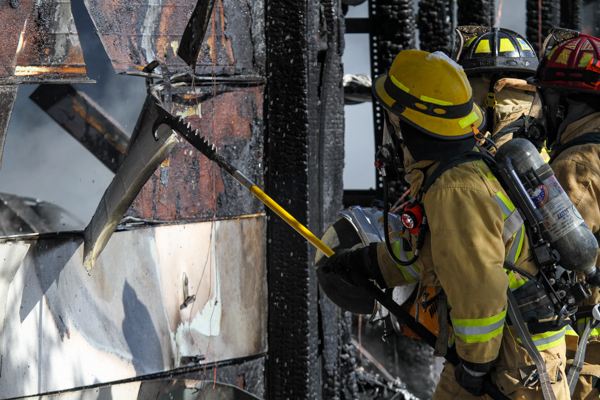 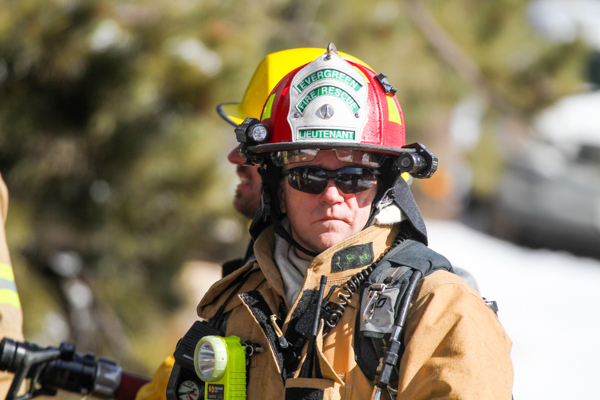 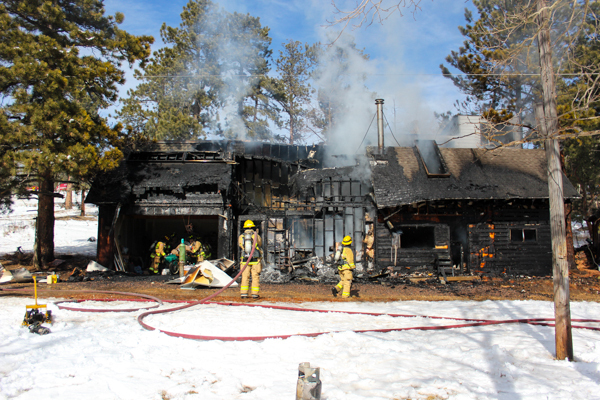 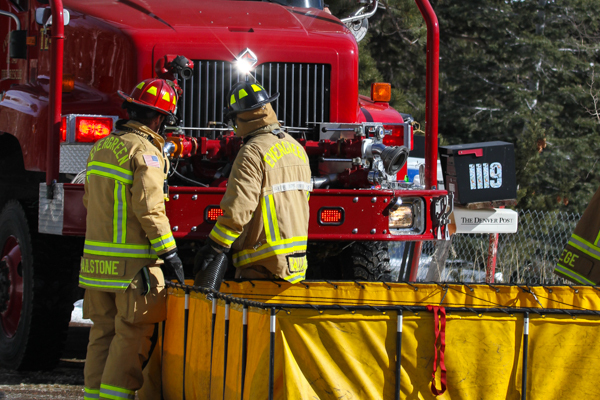 At 09:45 on February 8th, 2019 Evergreen Fire Rescue was alerted to a possible structure fire at Old Squaw Pass Rd. 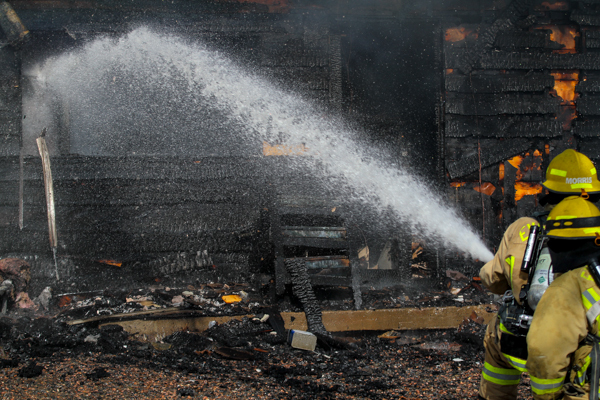 & St. Freds Pl. 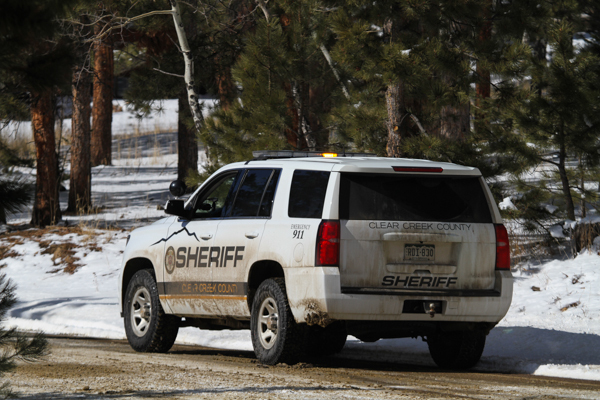 in Clear Creek County. 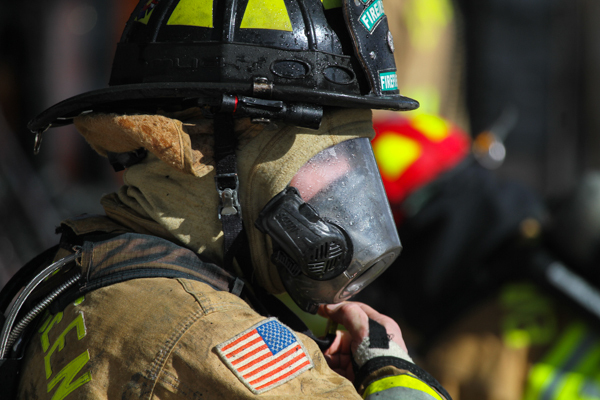 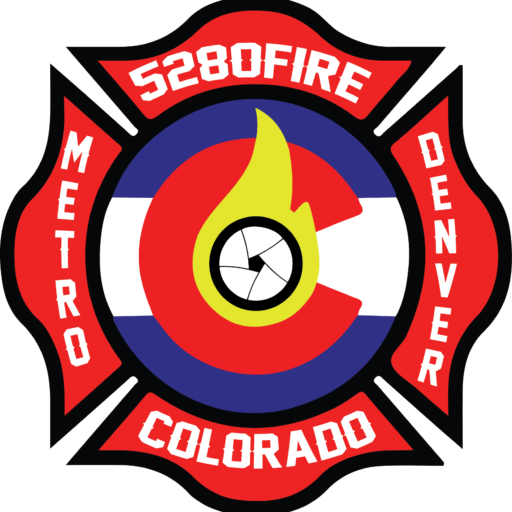 Dispatch advised that multiple callers reporting heavy smoke and fire coming from the home, and the call was upgraded to a 2nd alarm. 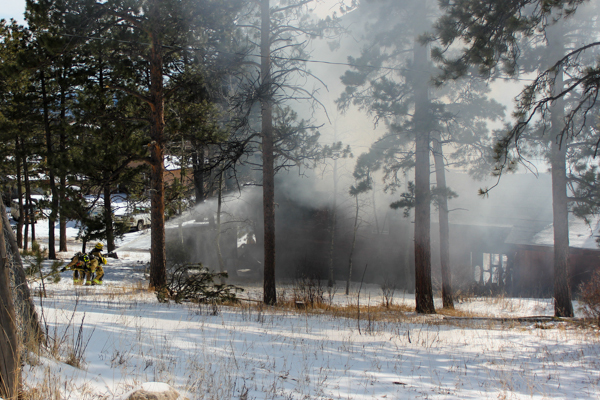 Medic 112 advised that heavy smoke showing from Hwy. 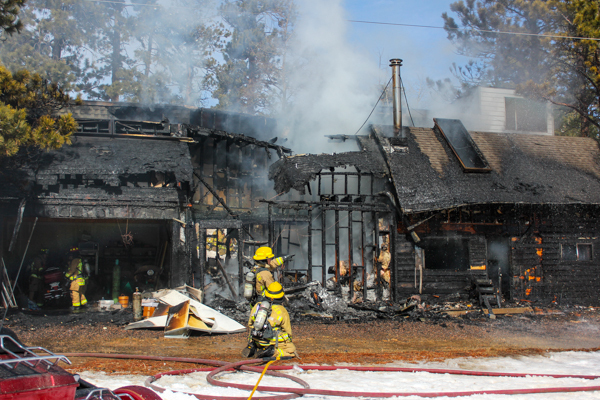 103 & Old Squaw Rd. 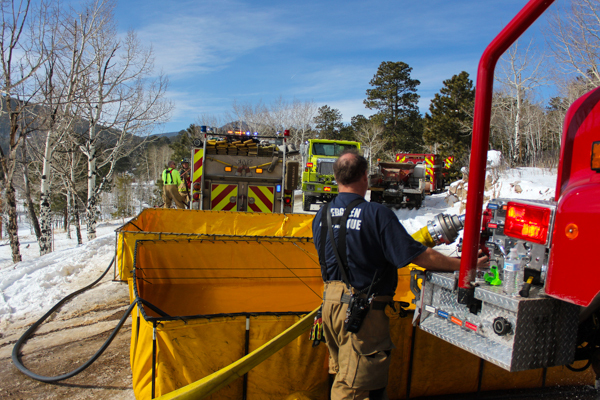 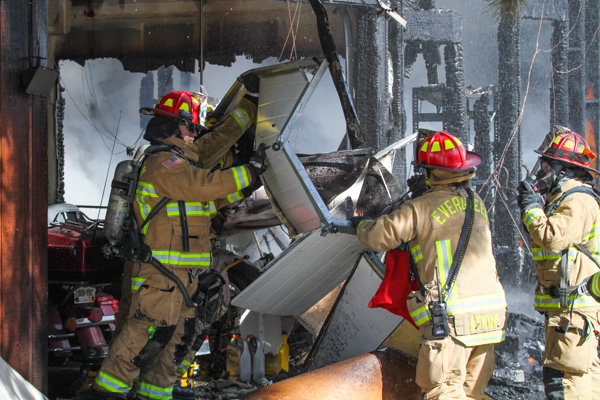 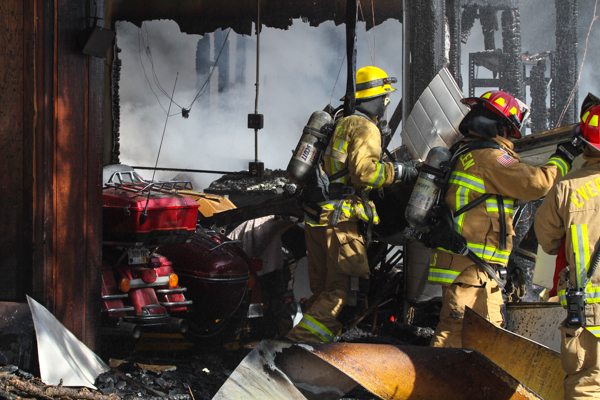 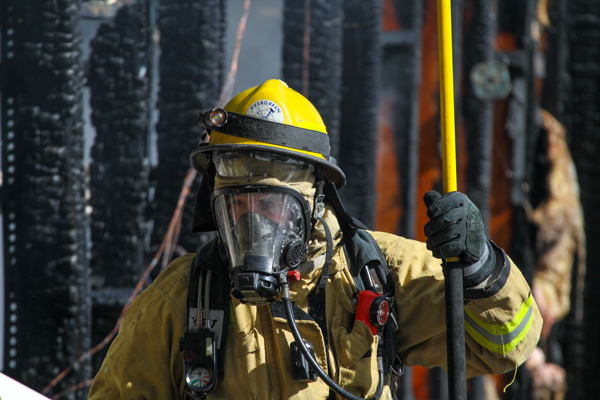 Foothills Fire Protection District was called out with mutual-aid. 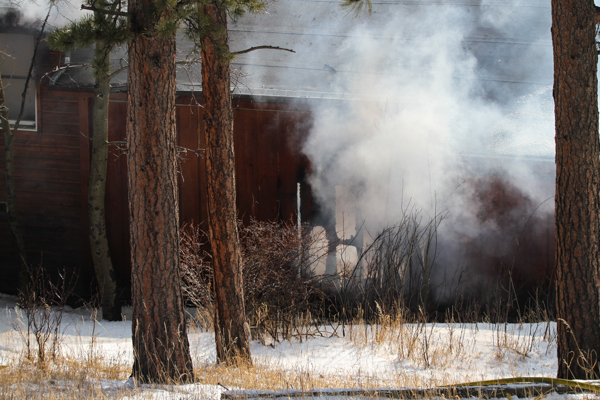 Crews arrived to a medium size structure with fire showing from the Alpha-Delta corner and all occupants evacuated out of the structure. 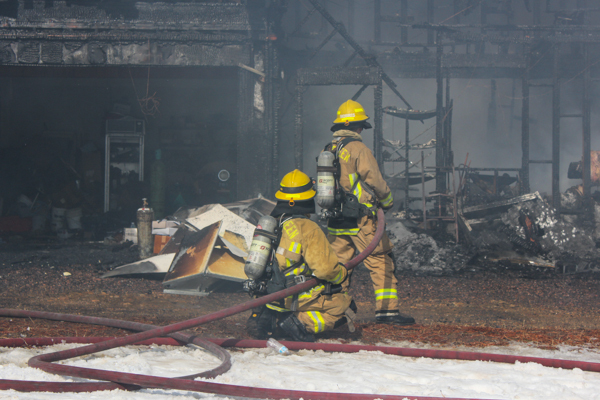 Bureau 1 arrived and assumed command on the Alpha-Bravo corner, with heavy fire and in the defensive attack mode. 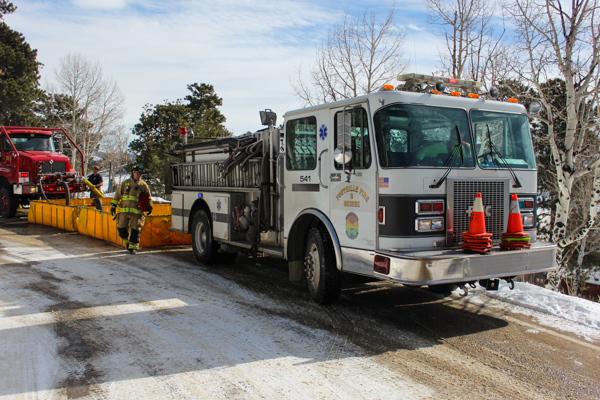 Due to no water hydrants in the area, Tenders were used to shuttle water to the scene. 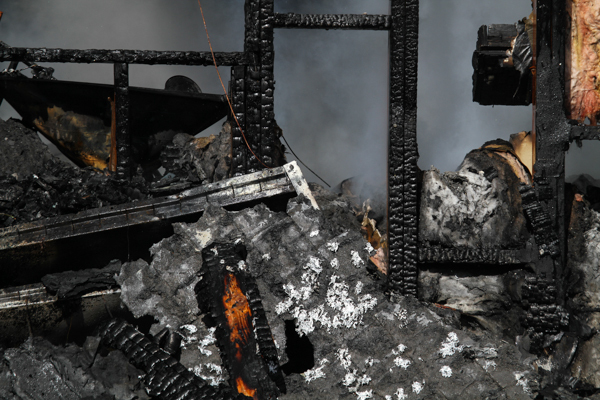 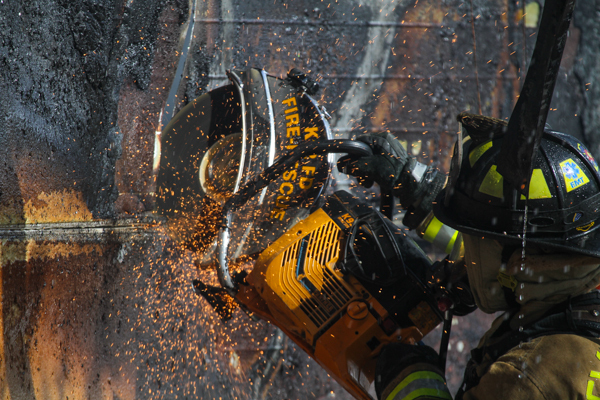 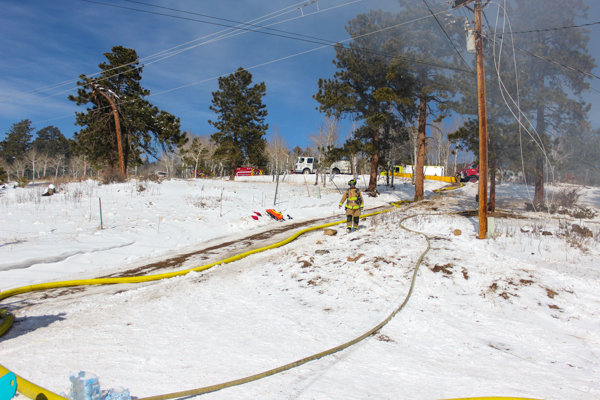 Power lines were also reported down on the Bravo corner, and IREA was called to the scene. 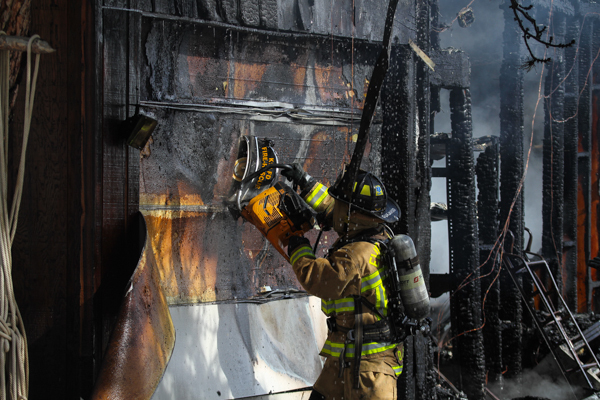 Crews got the fire under control and out at 11:55 with an extended overhaul.